*Disclosure: I participated in an Influencer Activation Program on behalf of Mom Central Consulting for Isis Wallet. I received a promotional item to facilitate my review.I participated in an Influencer Activation Program on behalf of Mom Central Consulting for Isis Wallet. I received a promotional item to facilitate my review. It's so funny to think back 10 years ago. To a time when a cell phone was just that, a phone. Maybe there were a few that took pictures and you could play a few games on. And even fewer that accessed your e-mail. Today, it's just the opposite. Finding a phone that isn't "smart" is nearly impossible! So, why not fully embrace the freedom and "intelligence" of this new technology and allow it to further alleviate your need for a shopping essential - your credit/debit card. That's right, you read that correctly. 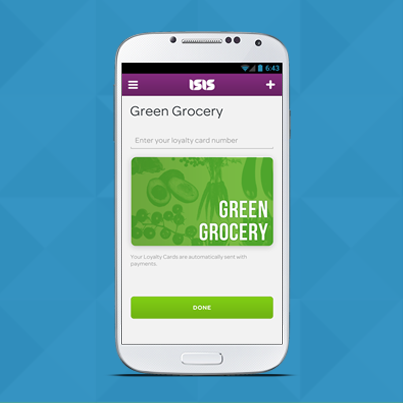 With the Isis Wallet app, you can leave your favorite credit/debit card at home and shop with only your smartphone! 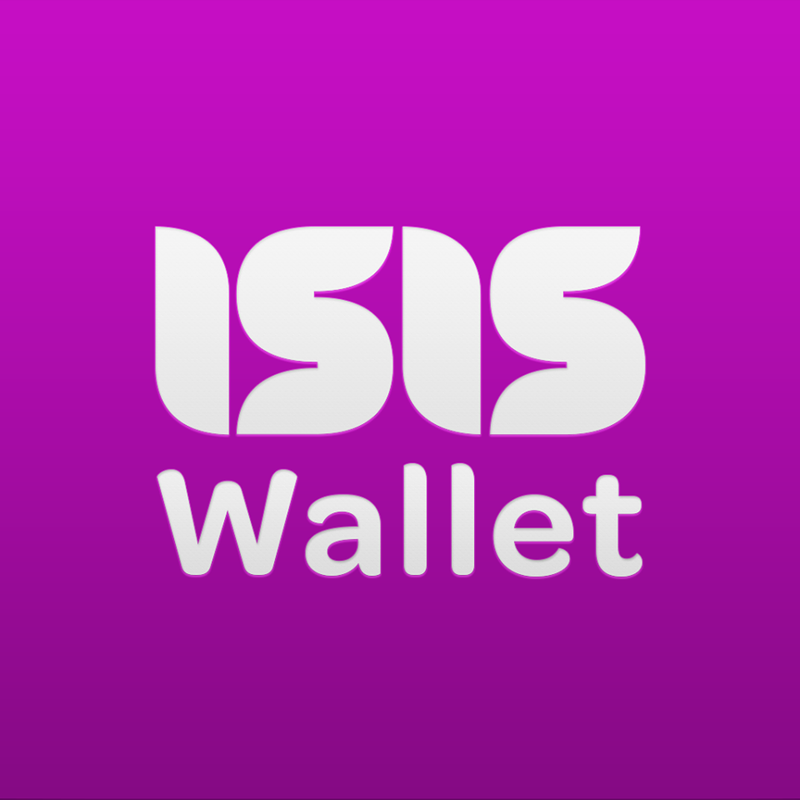 Isis Wallet app from the app store. What cards can I add to make a payment? American Express Serve prepaid card that you can fund from any bank account. the back of your phone over the contactless symbol at checkout. McDonald’s, Jamba Juice, Macy’s, Toys’R’Us, Coca-Cola vending machines, etc. Downloading the Isis Wallet app was really quick and easy! Then, I just visited my local provider store and they gave me an upgraded SIM card. I opened the app and added my personal debit card from my bank's mobile site and then visited the Where to Pay section on the app and found some local merchants that accepted it. There were close to 50 locations in a 5 mile radius, including Walgreens, Jamba Juice and BP! Awesome! Watch below to see how easy it is to set it up! I admit, I was a little skeptical about using it the first time. I didn't know if it was going to work, or take a while. I know I get impatient with the time it takes people to pay in the store, so I didn't want to be THAT person who was holding up the line trying to use this new technology. I located a local Walgreens and decided to try it out there. It was so easy to check out! You just open the app, put in your secret pin, select the card and wave the back of your phone in front of the "sensor". Then it asks you to confirm and that's it! Watch below to see how easy it is to pay! 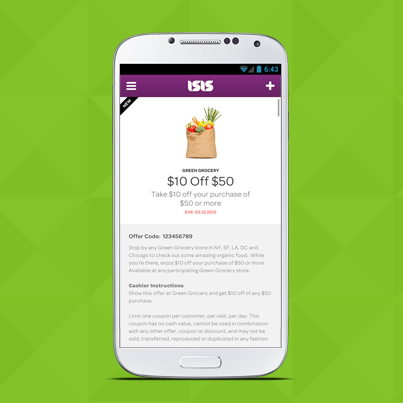 Isis Wallet also has one more fun feature, loyalty cards and offers from participating merchants! You can earn/receive offers such as $2 off a Jamba Juice smoothie when using the app to pay. What a great perk on top of the already exciting ease of use and convenience of this app! Overall, I really like the Isis Wallet app and hope every merchant starts accepting it! I think it takes the risk out of carrying around your debit/credit cards and potentially using them, or if your like me, avoids the need to "find" your card when you want to make a quick run out to the store. It's definitely one I recommend for anyone in your family. You can even get your teenager a American Express Prepaid Sverve card and hook it to up through this app! 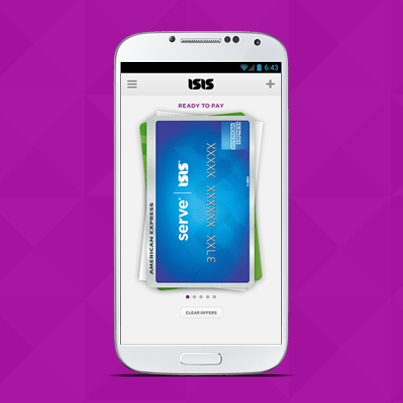 Learn More: Visit the Isis Website and see if your phone/carrier are compatible! If so, download it today! This is really neat! I use my iPhone for everything, so I will have to check out this app for sure! Thanks for sharing! Wow, I'm definitely go to check out this app. Thanks for sharing!